The American Geriatrics Society (AGS) today released updates to several of its recommendations for the ABIM Foundation’s Choosing Wisely® campaign. The American Society for Clinical Pathology (ASCP) today released a new list of recommendations for laboratory tests that are commonly ordered but not always appropriate in pathology and laboratory medicine as part of the Choosing Wisely® campaign, an initiative of the ABIM Foundation. 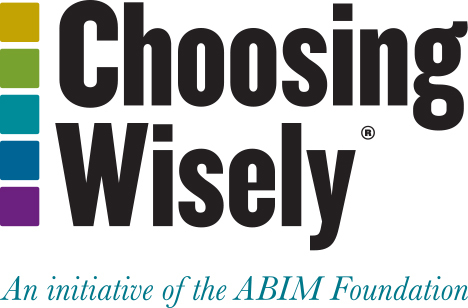 The ABIM Foundation has received a $4.2 million grant from the Robert Wood Johnson Foundation (RWJF) to continue advancing Choosing Wisely. The funding will expand the campaign to engage delivery systems, hospitals and medical groups to work with regional health organizations and physician-led groups. The American Society of Hematology (ASH), the world’s largest professional organization dedicated to the causes and treatments of blood disorders, today named five additional commonly used tests, treatments, and procedures in hematology that might not always be necessary. DARIEN, IL – Dec. 2, 2014 – Today the American Academy of Sleep Medicine (AASM) released a list of five common tests and treatments that are not always necessary in sleep medicine as part of Choosing Wisely®, an initiative of the ABIM Foundation.